Advancing and implementing nutrition knowledge to improve health, wellbeing and society! This year, NNEdPro celebrated 5 years of projects in India in 3 regions: Kolkata, Delhi and Punjab. We engaged with Teaching Kitchen stakeholders in Kolkata to learn more, and took the model a step further launching the model in rural Punjab. We also conducted the first NNEdPro BMJ India Masterclass in Nutrition. 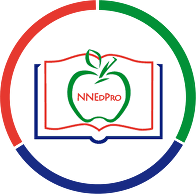 Wolfson College Cambridge Highlight 10 Years of NNEdPro! BREAKING NEWS: NNEdPro and BMJ to Launch New Nutrition Journal!